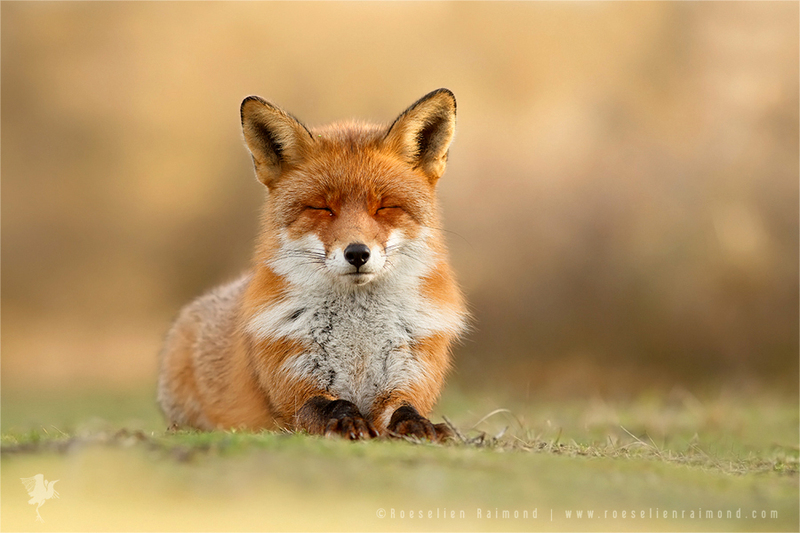 For years, we’ve been enamored with Dutch photographer Roeselien Raimond’s beautiful portraits of foxes. She has a knack for capturing them at just the right moment, showcasing their adorable looks as they go about their daily activities, including traipsing in the snow, wading through a pond, and carefully prowling on a hunt. 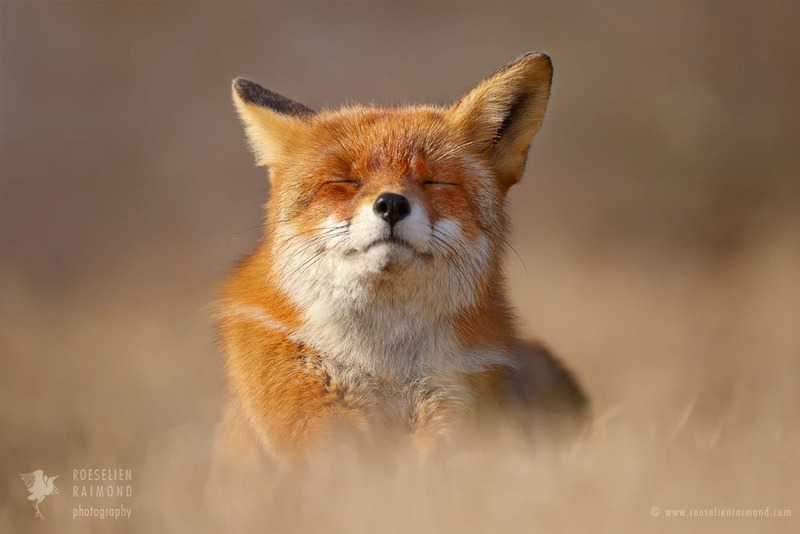 Her newest series titled Zen Foxes takes a more laid-back look at the creatures, giving us a glimpse at these adorable animals who appear to have reached a state of utter bliss. Like her other series, Raimond photographs her furry subjects in stunningly gorgeous detail. Here, their eyes are closed as they gaze towards the sky, feeling at peace with their surroundings–there are even hints of smiles on their faces. This offers a different perspective on foxes, in contrast to the stereotype that they’re sly, cunning creatures. We had the chance to talk to Raimond about her latest series. 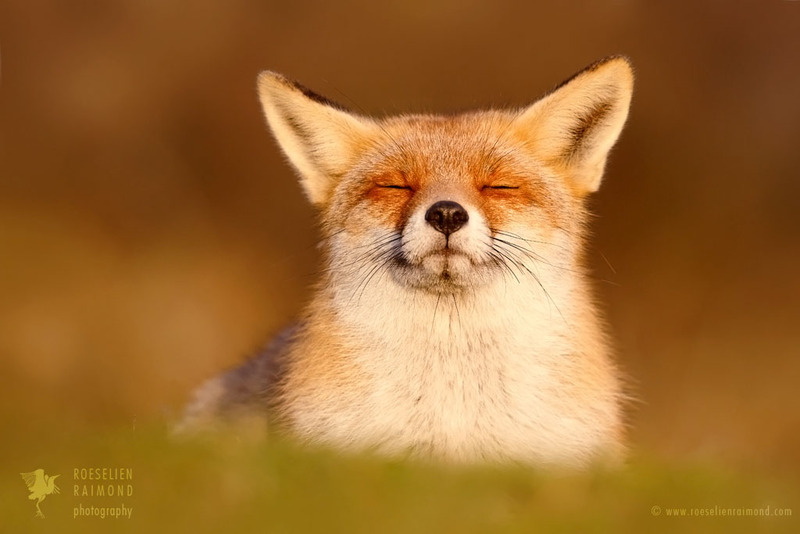 Zen Foxes is a great variation on the subjects you’ve photographed for years. What was your inspiration for this current series? It wasn’t a really conscious decision at first. Foxes have fascinated me for as long as I can remember and I think, in the beginning, I just wanted to get to know them. What was The Fox like..? Very soon, I learned that there wasn’t such thing as the fox, since they all have their own unique personality. Gradually I discovered some similarities, though. All foxes seem to have this talent to be completely at ease and they seize every chance to do that. For me this worked as some kind of mirror. 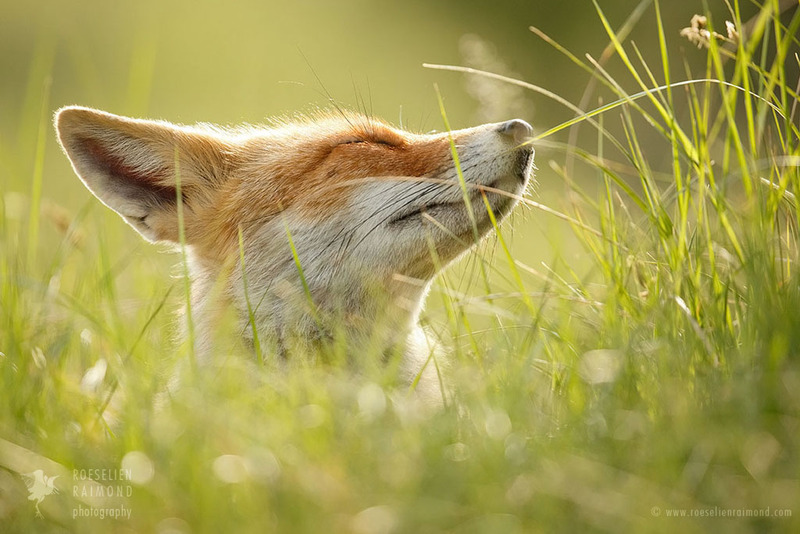 Looking back, I think I was just capturing what I was looking for myself: some peace of mind, just like them foxes. And the funny thing was; as I learned to relax a little more, the animals I photographed seemed to be more relaxed as well and that’s how the Zen Fox Series began to get shape. I believe that, ideally, creating art is a process in which you make mistakes, struggle, learn things, develop and see something of your inner self reflected. How long did it take you to complete the series? What was your process for snapping these photos? These photos are taken over a period of years. While I was frantically racing around, chasing for the perfect shot and getting disappointed when things didn’t turn out as I had hoped, since foxes always had other plans then I had, I learned that nature comes in her own (mysterious) ways. Rather than to control it, I decided to try go with the flow, seeing what might happen. Not really expecting something, just taking things as they come. 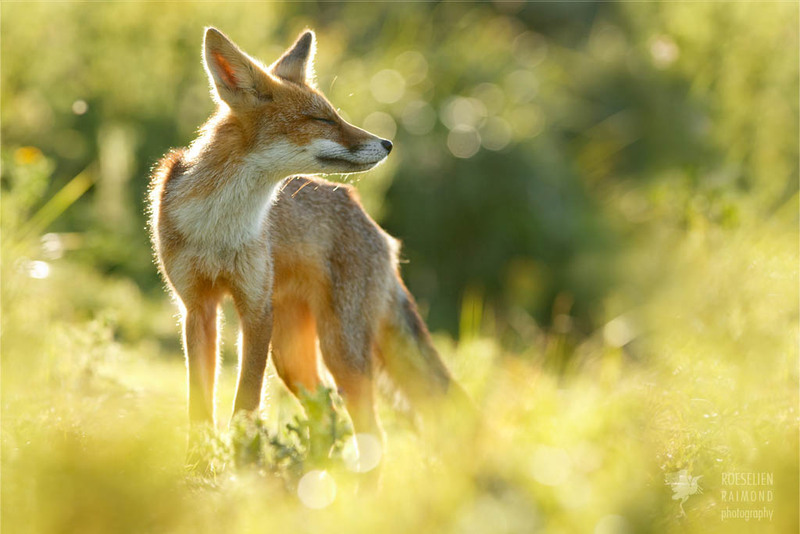 What’s the biggest challenge when photographing foxes? Their unpredictability, as goes for many animals. When I started doing photography, I (kind of naively) assumed that animals abided by rules and set patterns, as described in the books. It turned out they have a free will and there are too many factors to predict their behavior. So instead of planning to capture a certain behavior, I became more open minded and (slight) frustration made place for pleasant surprise. What do you hope that people take away from Zen Foxes? Foxes have been hunted and hated for ages and they surely have an image problem. I’d like to show them foxes as seen through my eyes; not as unscrupulous chicken killers and sly thieves they’re often depicted as, but as the intelligent, highly social and loving animals they really are. For me animals are not necessarily less than human beings, they’re just different and not even that different. I’d like people to see that animals are beings with individual characters, a personality, with their own specific desires, fears, oddities, pros and cons, just like we have. And if my photos can make one person realize that an animal is not a coat to wear, not an object to lock up in a cage, nor something you thoughtlessly cut in slices to eat…that mission would be accomplished.